Home > Departments > Faculty > David Joyce Ph.D. Professor Joyce received a B.S. from the University of Michigan in 1973 and an M.A. and Ph.D. from the University of Pennsylvania in 1975 and 1979, respectively. He has been with Clark since 1979. 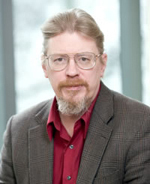 Professor Joyce’s research interests include knot theory and computer science.